We have all looked up at the night sky and pondered the wonders that exist outside of our own tiny little planet, and bit by bit the best brains on the planet are finding answers to the universe’s biggest questions. We don’t even know much about some of our closest stellar neighbours. 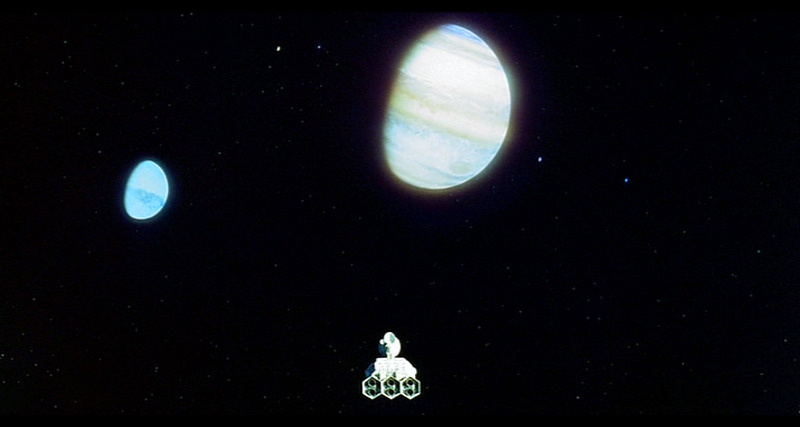 But thanks to the latest photos from Nasa’s Juno mission, our biggest buddy Jupiter has revealed some of her secrets. The team behind the Juno space mission have just revealed their first batch of images from the probs, after an almost six year journey to the planet. 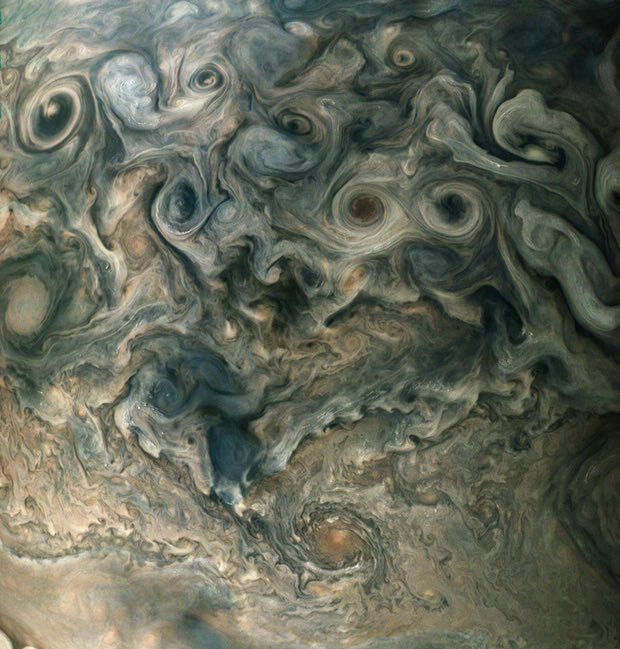 The pictures reveal that Jupiter is in fact much more active than was once thought, with cyclones reaching up to 1,400km wide which is just under the width of France and Germany combined! Scientists also found that the magnetic field is also twice as strong as they originally thought, making it ten times as strong as the magnetic field on Earth. Juno’s recording equipment detected a large number of electrons rushing down into Jupiter’s upper atmosphere, which could fuel light shows that would put the Aurora Borealis to shame. Jupiter has been described as a “planet on steroids” by Scott Bolton, the missions’s principal investigator. We were all jumping up and down with excitement when the images came down. You’ve got to be patient, but the rewards are fantastic. The only passengers on the journey were Galileo, Jupiter himself and his wife Juno… in Lego form. The team are now hoping to decipher whether Jupiter has a solid core or not, something that has mystified scientists for decades. Understanding of this planet is crucial to understanding the rest of the solar system and indeed how our stellar cluster came to be in the first place. 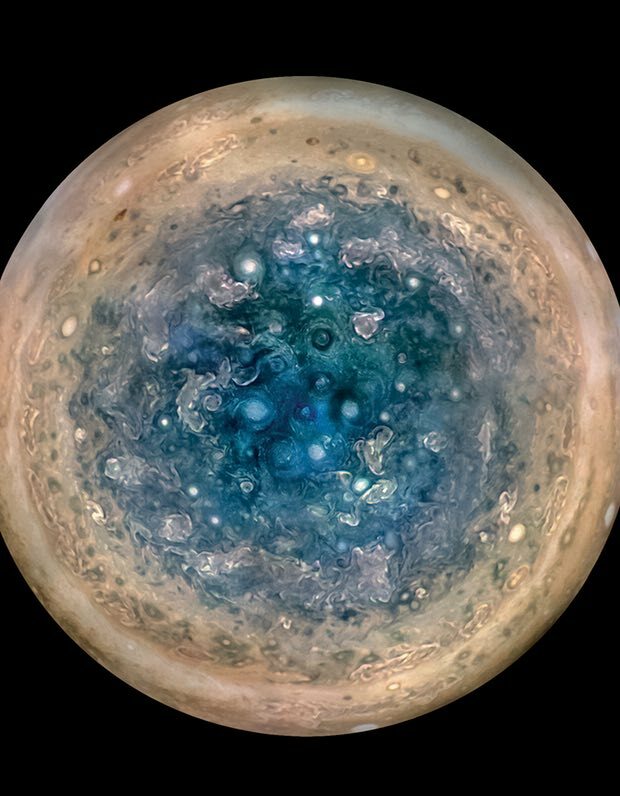 Likely before we get all the answers, Juno will fall foul of the radiation emanating from Jupiter and it will fall straight into the violent atmosphere that it is currently observing.